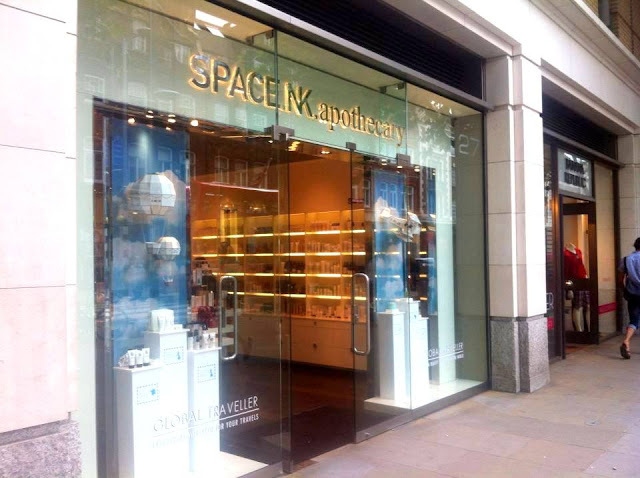 To celebrate Space NK's store makeover at their Duke of York Square branch, they hosted a number of in-store events from Monday to Friday this week. All the events looked great but one really stood out to my best friend and I - the express oxygen facial bar with Radical Skincare. I've heard some wonderful things about this brand, and I thought this would be a fantastic opportunity to really get an overall feel of the products. Hydrating Cleanser - I instantly loved the feel of this on my skin plus it was non-foaming (and any Caroline Hirons-devotee like myself understands the importance of this!). It took off my make up with such ease and was also very gentle on my sensitive skin. Age-defying exfoliating pads - As my skin is prone to redness and sensitivity, I am very careful with exfoliating toners. Most of these contain a percentage of glycolic acid around the 5% mark, but these are around 3%, which I like. It also does contain salicylic acid which I'm usually weary of and I was expecting my skin to burn a little on application as I've experienced this in the past, but it felt fine, and didn't leave me with any redness after use. Instant Revitalizing Mask - This really was the pièce de résistance for me. One of the main benefits of this mask is to optimize the skin's oxygen resources. On application the mask began to 'pop' on my skin, which I was warned of in advance - the more quickly it 'pops' the more dehydrated your skin is. It really is a very clever mask indeed, and regular use will ensure that skin is less dehydrated and you'll be able to see results for yourself as after a few weeks the popping sensation will decrease. Needless to say that on my skin the mask popped like crazy, but interestingly enough it also showed that my friend's skin was almost as dehydrated as mine, which she was shocked by since she has oily skin! Peptide Infused Antioxidant Serum - A serum packed with moisture from the sodium hyaluronate, antioxidants from the resveratrol and green coffee, and anti-carcinogenic properties from the green tea - The perfect serum! Eye Revive Creme - The eye is the only area of the face that does not have oil glands, therefore moisture in an eye cream is paramount. This particular product contains hylasome, which is a chemically crosslinked hyaluronic acid, that actually has 5 times the water binding capacity of hyaluronic acid. It also contains anti-oxidants and the other usual suspects, but for me hylasome is the star ingredient. Anti-aging Restorative Moisture - Nourishing, hydrating and a great set of ingredients - All in all, a wonderful moisturiser. I must say that this was probably the best facial of my life - I know that sounds a tad hyperbolic but it's true. I tend to stay away from facials because I have very sensitive skin, and when in the past I've had a facial, I tend to come out looking a little worse for wear as my skin often gets quite red and blotchy. After this facial my skin was very bright, clear and had a certain luminosity to it, so these products definitely worked wonders for my skin. I left feeling refreshed, skin rejuvenated and with a two-weeks supply of the age-defying exfoliating pads. 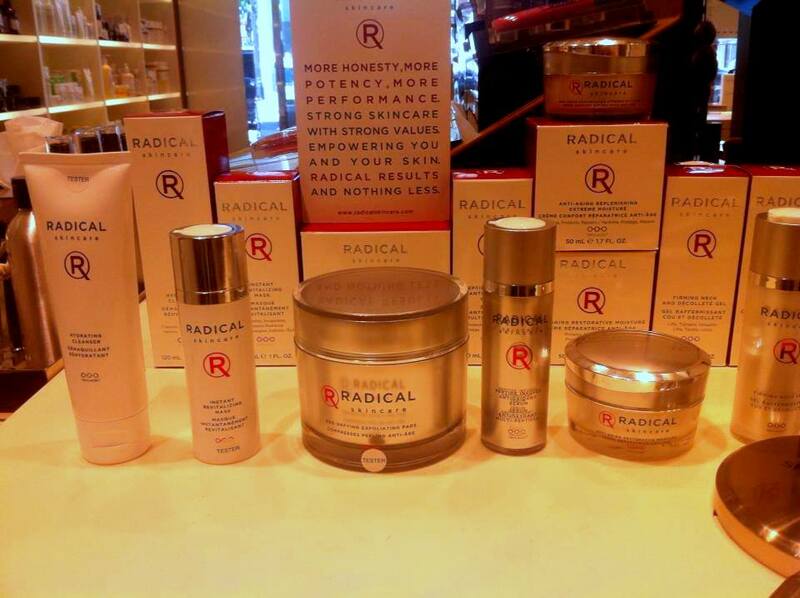 Radical Skincare is available at Space NK, Harrods and Fenwick. The products that I will undoubtedly be adding to my current skincare regime are the eye cream, the revitalizing mask and possibly the exfoliating pads (if I can get over my phobia of salicylic acid!). I'll definitely be writing another post as a follow-up to share my long-term results with these products.